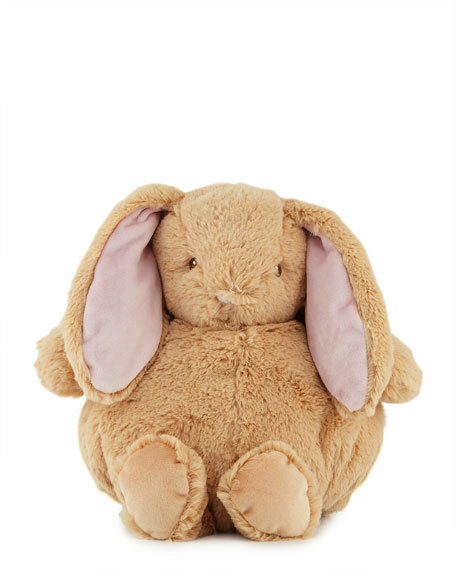 Gund Chub Bunny Stuffed Animal, 10"
GundChub Bunny Stuffed Animal, 10"
GUND Chub series plush toys combine huggable designs with high-quality, super-soft fabric. This Chub is a roly-poly bunny rabbit that baby will absolutely adore! Gender-neutral color and design are perfect for boys and girls. Soft, huggable plush built to famous GUND quality standards. Gund plush stuffed bunny from the Chub collection. Embroidered eye and nose details ensure safe use. 12"W x 10"D x 10"T.
For in-store inquiries, use sku #2537577.